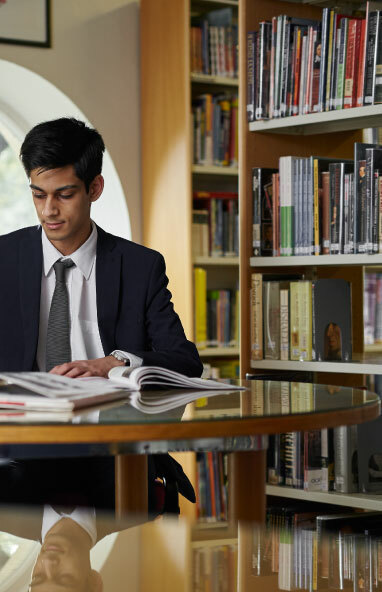 The Library is the place where our students can find the resources they need to support their academic study – and is also a quiet environment where they may enjoy recreational reading. Our librarians are always on hand to offer advice, help the children find the books they need and issue them for home study. The Library also houses a computer suite with facilities for accessing the Internet, printing and photocopying and is used by students for both project work and daily homework. Regular updates of the book stock ensure that the relevant course text books are always accessible and that the Junior and Senior Fiction sections remain contemporary with the addition of newly released titles. DVDs are also available from the Library’s collection of popular films. Remaining open after school until 6.00pm, the Library provides a warm welcome to all students, whether they require a comprehensive hub of information, a haven for private study or simply a quiet space for reflection.